Dragging a bit? Your body may be crying out for vitamins that give you energy. But before you run out in search of supplements, take a closer look at your diet. Vitamins that give you energy include B vitamins. Get them naturally—for B12, for example, make sure your diet includes such choices as shellfish, liver, fish, red meat, eggs, and cheese. You’re looking for a boost, and you’re wondering if vitamin supplements are all you need to lift that sagging energy level. Perhaps you’ve taken vitamins sporadically over the years and are thinking about taking them on a daily basis. First, realize that extreme fatigue may be a symptom of a medical condition. A consultation with your physician can help you determine whether there’s a medical reason for your tiredness. Second, the reason for your low energy may have more to do with shortcomings in your diet—you may not be getting enough of a certain nutrient. 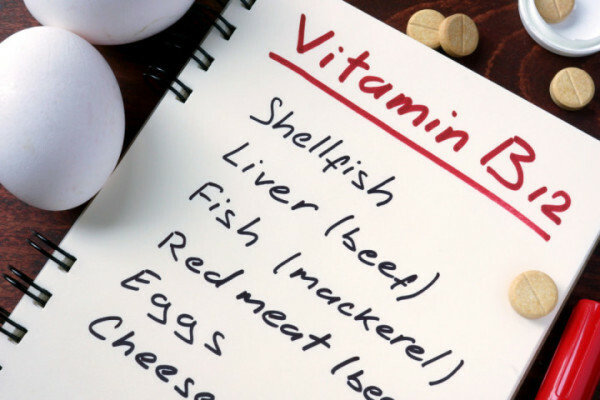 Let’s take a look at which vitamins give you energy and which foods offer them naturally. Do you want to feel energetic and vibrant throughout the day? To have the ability to simply get-up-and-go? If so, claim your FREE copy, right now, of our special guide on how better diet, exercise, and sleep habits can boost your energy level all day long. Key vitamins that boost energy include these four Bs: B1, B2, B6, and B12, each of them important in the metabolism of your cells and the formation of red blood cells. They play a part in how your body processes the nutrients you eat and converts them into energy. B12 is especially important. A diet that’s too light in B12 foods can result in noticeable fatigue and mood changes. Long-term B12 deficiency can contribute to permanent nerve damage. We get B12 naturally from poultry, pork, beef, seafood, and dairy products. Leafy green vegetables, peas, lentils, and beans also have B12 along with other B vitamins, as do whole grains. You’ve also noticed, no doubt, a wide range of breakfast cereals boasting that they’re fortified with vitamin B12. These types of foods also contribute iron, a critical nutrient that aids your body in getting oxygen through the bloodstream. Fatigue often follows insufficient oxygenation. An iron deficiency may mean that fewer blood cells are being made, resulting in anemia. Unfortunately, it’s not uncommon; estimates show that around 25 percent of the world’s population is anemic. Pumpkins seeds, which also supply vitamin K, magnesium, manganese, and zinc. Quinoa, a gluten-free food that’s also rich in magnesium, manganese, folate, and copper. And, yes, dark chocolate, which supplies copper and magnesium as well. If you’re considering B-vitamin supplements or iron supplements to help you meet your daily needs, your physician or nutritionist may be able to help you avoid the cost of regular vitamins via simple diet changes. Your diet is the easiest place to start in getting the vitamins that give you energy. For more on vitamins that give you energy and other ways to overcome fatigue, please visit these posts. At the time, a Gallup poll showed that 50 percent of Americans were regularly taking a multivitamin or specific type of vitamin or mineral supplement, and that 48 percent were not. Who’s most likely to be on a vitamin regimen? Older Americans. Some 68 percent of senior citizens (age 65 and above) take vitamin supplements, according to Gallup. And women are more likely to take vitamins or mineral supplements regularly than men, 54 percent vs. 46 percent. Orli R. Etingin, MD, Director, Iris Cantor Women’s Health Center at Weill Cornell Medicine, answers a common question about energy supplements. Q: I’ve been feeling very tired, and I was thinking of trying an energy supplement. What are your thoughts on energy supplements? A: If you haven’t consulted your doctor about feeling so tired, please do so. Excessive fatigue with no obvious cause (such as insomnia) should be investigated. Your doctor will be able to rule out possible underlying causes for your fatigue, such as an infection or illness. Heart, kidney, and liver diseases can cause fatigue, as can thyroid disorders and cancer. Regarding energy supplements, there is little scientific evidence that they work, despite the claims you may see on packaging and in advertisements. Any energy supplements that do have an effect on energy levels tend to do so only for short periods of time, and usually it’s because they contain sugar and/or caffeine and other stimulants. Also, keep in mind that supplements are not regulated by the U.S. Food and Drug Administration, and research has shown that many supplements contain less or more of the ingredients listed on the label, as well as potentially harmful substances, which makes their safety questionable. Instead of spending your money on energy supplements, take a look at your diet; fatigue is sometimes related to poor nutrition. A registered dietitian can work with you to formulate an eating plan that includes sources of natural energy, including complex carbohydrates found in whole grains and starchy vegetables such as corn, beans, and winter squash. These foods are broken down slowly, providing a steady supply of energy. Conversely, eating simple carbs and sugars may give you an energy boost because your blood glucose rises rapidly, but it also drops quickly, leaving you feeling tired. Originally published in 2016, this post is regularly updated. add, anemia, b vitamins, b12, b12 deficiency, b12 foods, boost energy, breakfast, caffeine, cancer, chocolate, corn, dairy, diet, energy boost, energy diet, energy supplements, excessive fatigue, extreme fatigue, fatigue causes, feeling tired, feeling very tired, folate, food, glucose, gluten, gluten free, gluten free food, health, how to improve energy, how to improve energy level, improve energy, infection, insomnia 2, iron, iron deficiency, iron supplements, low energy, magnesium, metabolism, mood, natural ways to boost energy, nutrients, nutrition, quinoa, senior citizens, sugar, supplement, supplements, supplements that give you energy, thyroid, tired, tiredness, vegetables, vitamin, vitamin b12, vitamin k, vitamin supplements, vitamins, vitamins for energy, vitamins that give energy, vitamins that give you energy, ways to boost energy, whole grains, womens health, zinc. 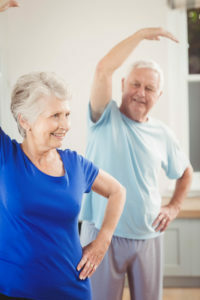 To overcome the problem of weakness, you need to include vitamin B12 in your daily routine, take B12 vitamin either from your diet or from a supplement. B12 vitamin helps your body to maintain the energy level. You can consult to your doctor or can take Lipotropic Liquid Supplement, Super MIC B12, easily available in the market to cure your B12 deficiency. Lipo shots are safe to take without the doctor’s prescription for your B12 deficiency. Common-sense remedies for preventing, fighting off, and treating the common cold and flu.